Not All Colors come in all sizes or all lengths. Choose width before choosing length. Clear the menu if you have trouble finding a size. Cut Edge Acetate Satin ribbon that is water resistant and suitable for outdoor use. Is not washable. Easily our most popular seller. This ribbon makes a beautiful bow. Uses: Decorating, craft projects, hot-stamping, bows and gift wrapping. 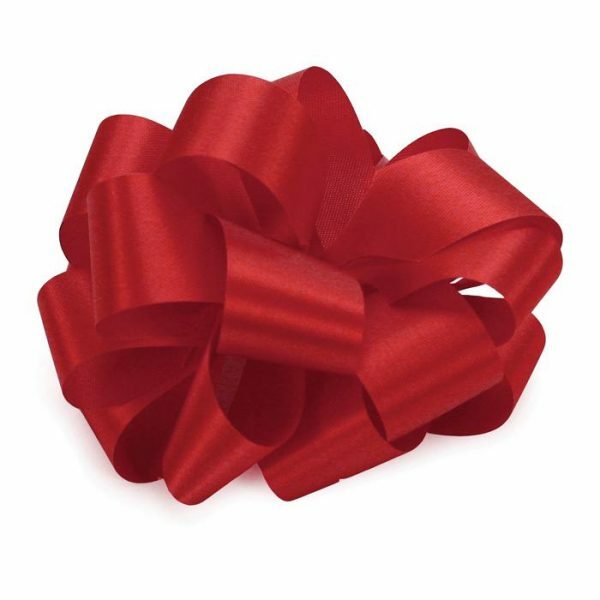 Add a special touch to your floral arrangement with this beautiful ribbon.